The AMSAT Engineering and Operations teams have been hard at work testing the various modes and experiments aboard AO-92 since its launch on January 12th. 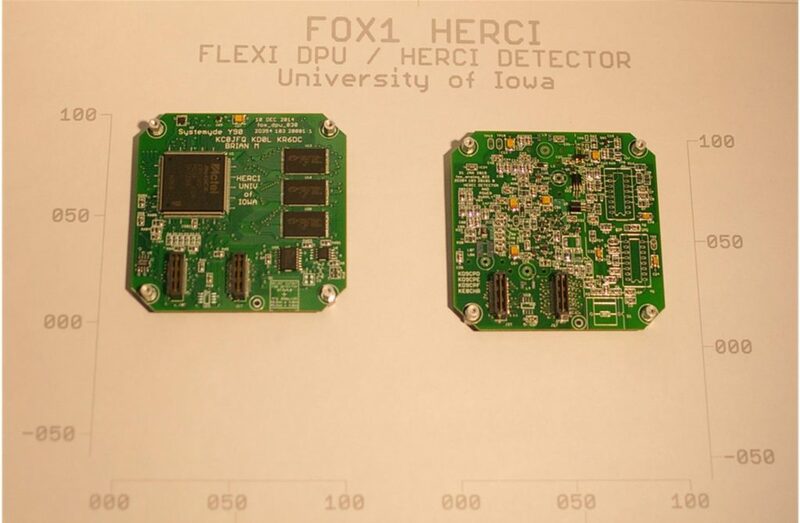 Since the last update, testing has concentrated on the University of Iowa’s High Energy CubeSat Radiation Instrument (HERCI) experiment and the AMSAT L-Band Downshifter. While the HERCI experiment collects data continuously while the transponder is in operation, the data is only downlinked in the satellite’s high-speed data. The HERCI Engineering Model boards prior to initial test. The boards will be tested before installation of the radiation detector and hybrid circuits. The digital processor board is the first use of the Y90 microprocessor firmware which was donated by Monte Dalrymple, KR6DC, of Systemyde Corporation. 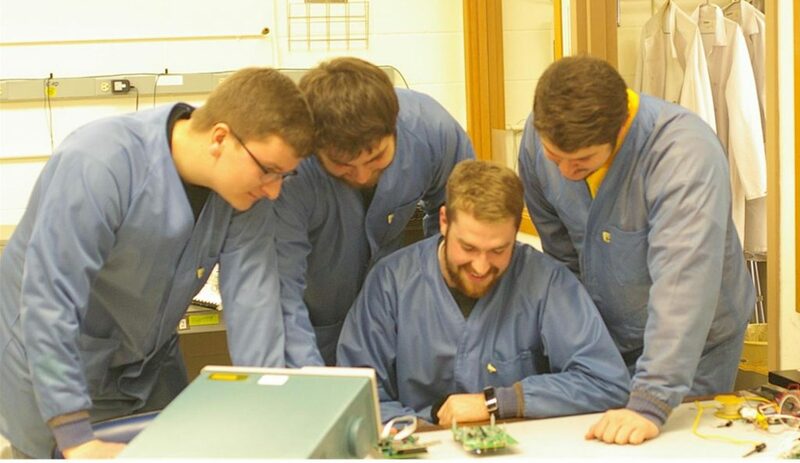 In a Space Physics laboratory in Van Allen Hall, University of Iowa Electrical Engineering students Patrick Maloney, KD9CPD; Tyler Dunkel, KE0CHR; Kevin Klosterman, KD9CPF; and Bryan Senchuk, KD9CPE inspect the HERCI development boards. After testing operation of the HERCI experiment and the downlinking of the experiment data, focus turned to the AMSAT L-Band Downshifter. When enabled, the L-Band Downshifter converts signals received on 1267.350 MHz and injects them into the satellite’s 435 MHz receiver. Due to the increased path loss on 1267 MHz and the utilization of the satellite’s 435 MHz receive antenna on 1267 MHz, pre-launch estimates suggested that around 100 watts ERP may be required for horizon to horizon access in this mode. As always, pre-launch estimates are subject to change after real-world testing in-orbit. At 02:19 UTC on January 20, 2018, the L-Band Downshifter was commanded on for the first time. Initial testing showed promising results. Your author was able to access the transponder with an Alinco DJ-G7T HT with 1 watt output into a Comet CYA-1216E yagi. Telemetry analysis showed that the Downshifter was functioning normally and AMSAT announced open testing. Reports flowed in of QSOs occurring over Europe and Japan. Many reported QSOs made with 10 watts or less to modest yagi antennas. EB1AO reported success using 2-3 watts output to a small yagi. IW1DTU reported using 10 watts to a horizontally polarized 10 element loop yagi. 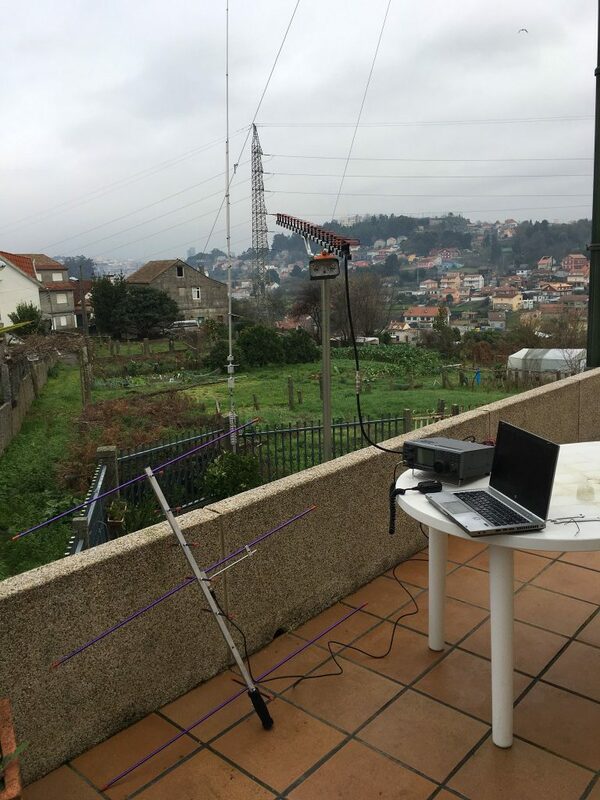 IU2EFA reported two QSOs made using 10 watts to a vertical groundplane antenna. Reports from Japan were similar. JK2XXK reported two QSOs with 10 watts to a vertically polarized 17 element loop yagi and JA6PL reported a QSO with 10 watts to a horizontally polarized 23 element yagi. The first open pass over North America occurred at around 02:00 UTC on January 21, 2018. Seven stations were heard, your author, KE4AL, WB8OTH, WB8RJY, NS3L, N8TLV, and VE4AMU. KE4AL and VE4AMU were using similar stations, KE4AL was using a Kenwood TM-942A (10 watts output) and a Comet CYA-1216E yagi modified with holes drilled in the boom to add 2 meter Arrow II elements. VE4AMU was using the same antenna with a Kenwood TM-941A mobile radio. Your author was also using that antenna, but with an Alinco DJ-G7T handheld and was able to open the transponder at around 10 degrees of elevation. Most impressively, N8TLV was heard using just a Yaesu FT-104 handheld transceiver and the stock rubber duck for the uplink. He was weak, but readable from around 35-38 degrees of elevation. 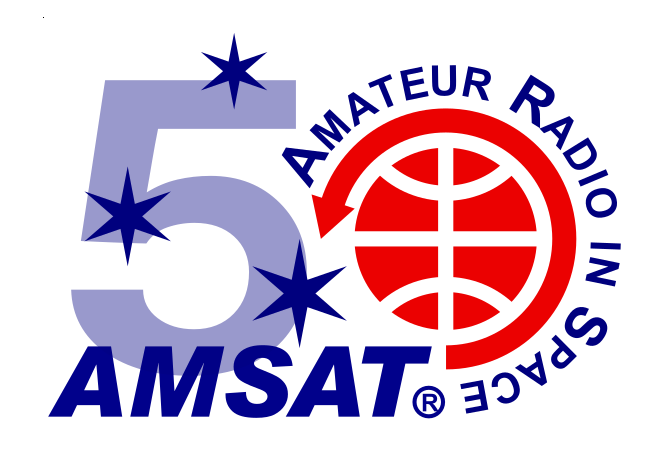 AMSAT plans to publish articles in the future discussing equipment options for use on the L-Band uplink. Rick Behma, VE4AMU, working AO-92 in Mode L/v with a Kenwood TM-941 mobile transceiver and Comet CYA-1216E yagi crossed with 2 meter Arrow II elements. The L-Band Downshifter operates on a 24 hour timer and shut off on schedule around 02:19 UTC on January 21, 2018. Tests of the various modes and experiments continue. 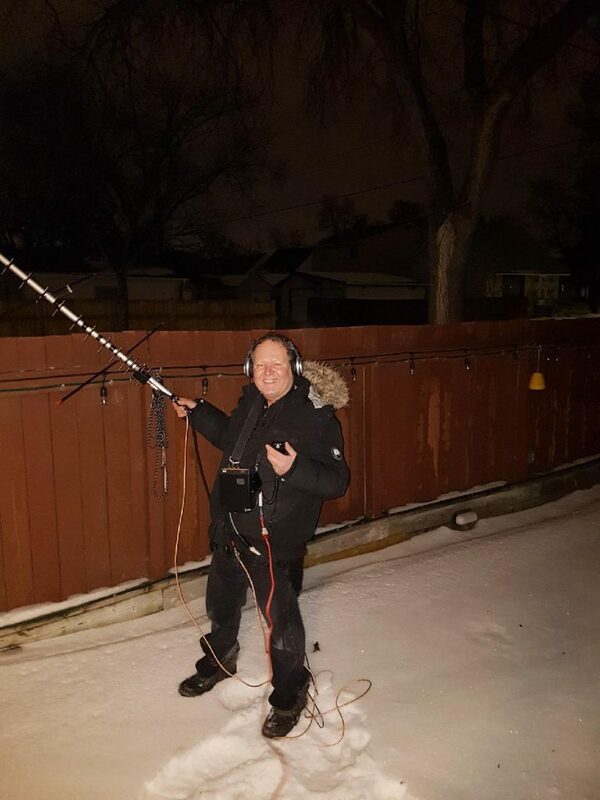 AO-92 is on track to be commissioned and handed over to AMSAT Operations on Friday, January 26th.